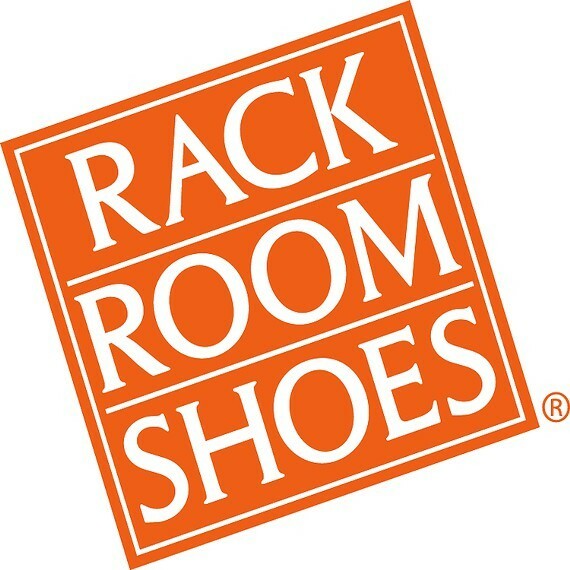 Are you ready for some Black Friday Shoe Sales from Rack Room Shoes? I know I am! One of my kiddos has shoes on his Christmas wish list, so you can bet I am keeping an eye out for sales. I am also on the lookout for a pair of black and/or brown booties for myself. So what’s happening at your local Rack Room Shoes for Black Friday? Here you go! As you can see, in order to get a scratch and win card, you need to get there early. So, check out great Black Friday shoe sales at your local Rack Room Shoes store, and check your store to see what time they open on Black Friday. 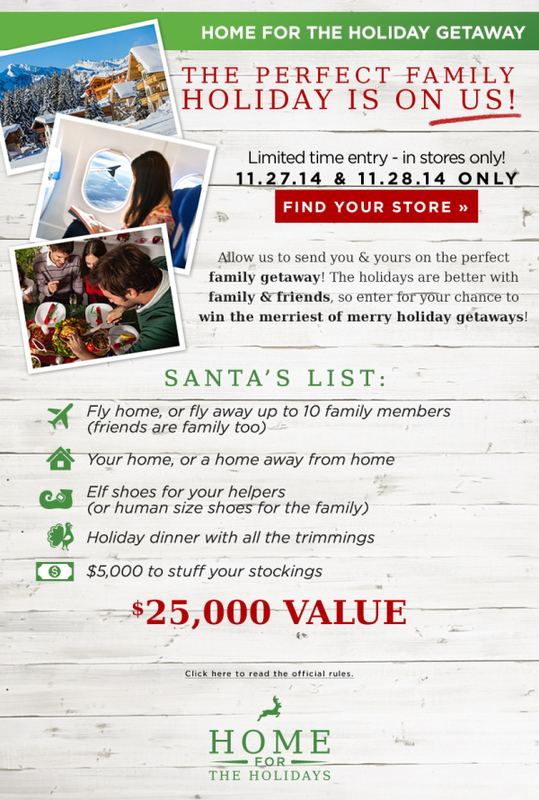 I am so excited to tell you about their Home For the Holidays Getaway sweepstakes, valued at $25,000! You can enter in store on November 27th and 28th. This is an opportunity for Rack Room Shoes to send you and your family on the perfect Holiday Getaway. Sounds amazing doesn’t it? Don’t forget to enter when you head into their store on November 27th or 28th. rewards for every $200 spent. They all add up to great savings, which is important to important to me. If I can save some money here and there, on items I’m purchasing anyway, it’s a win for me. Are you participating in Black Friday Shopping? What about Cyber Monday? Rack Room Shoes has a Cyber Monday deal I’ll tell you about over the weekend, so check my Facebook page, Twitter and here on the blog to find out what it is!